of transparency; forever changing recruiting as we once knew it. Today, job seekers expect organizations to have a strong online presence that clearly communicates company culture, history and reputation. This expectation has become so prevalent that an inadequate online presence evokes immediate distrust from 70 percent of job seekers. With most candidates starting their job search online, an organization’s online presence determines the effectiveness of their recruiting efforts. With this in mind, we’ve put together a list of the top reasons why employer branding and reputation management are crucial for your organization’s success. Indeed’s latest Transparency Report found that 70 percent of millennials cite company reputation as “extremely important” compared to 55 percent of baby boomers. Reputation, however, encompasses much more than Glassdoor reviews; it’s also impacted by an organization’s level of transparency. 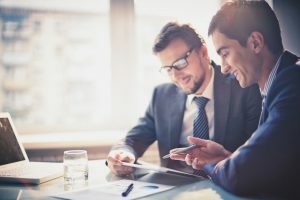 Reputation is the foundation of a strong employer brand because with it comes a sense of distinction and dependability that makes an organization far more attractive to job seekers. CareerBuilder found that 71 percent of U.S. workers would not apply to a company experiencing negative press. When organizations with a bad rap are able to work past a candidate’s initial hesitancy they end up increasing pay by at least 10 percent to compensate. Organizations with a strong employer brand attract more candidates with a reduction in the cost-to-hire rate. LinkedIn found as early as 2015 that companies with a strong online presence have a 31 percent higher InMail acceptance rate from potential candidates because job seekers are more likely to trust an organization they’re already aware of. At the same time these organizations, which were later identified as having “strong employer brands,” experienced a 43 percent decrease in their cost-to-hire as a result of reducing costs in advertising. Meredith Hill, CEO of Global Institute for Travel Entrepreneurs, said, “If you’re speaking to everyone, you speak to no one.” Employer branding in this way is very much like traditional marketing in that if you want your voice to be heard you must tailor it to the audience you want it to attract. In order for organizations to increase retention and engagement, they need to be intentional about the candidates they’re seeking to attract. Companies with a strong employer brand have a deep understanding of what type of person thrives in their environment and they’ve cultivated an authentic voice that clearly conveys this. Successfully done, this increases the quality and quantity of candidates while reducing turnover and increasing retention. In a candidate driven job market, like the one we have today, employer branding and reputation management are crucial to building a strong recruiting strategy. The stronger this foundation is the greater impact it will have on increased engagement, productivity and retention.